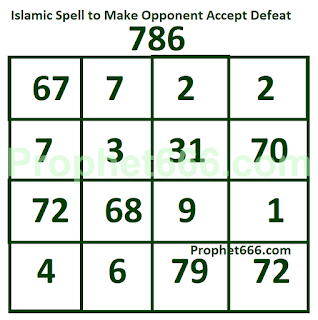 In this post, I have described the uncomplicated method of casting an Islamic Spell to make an opponent, rival, enemy or competitor accept defeat to the practitioner. This Voodoo Spell makes the use of special numerical combination, which can technically be called a Yantra. 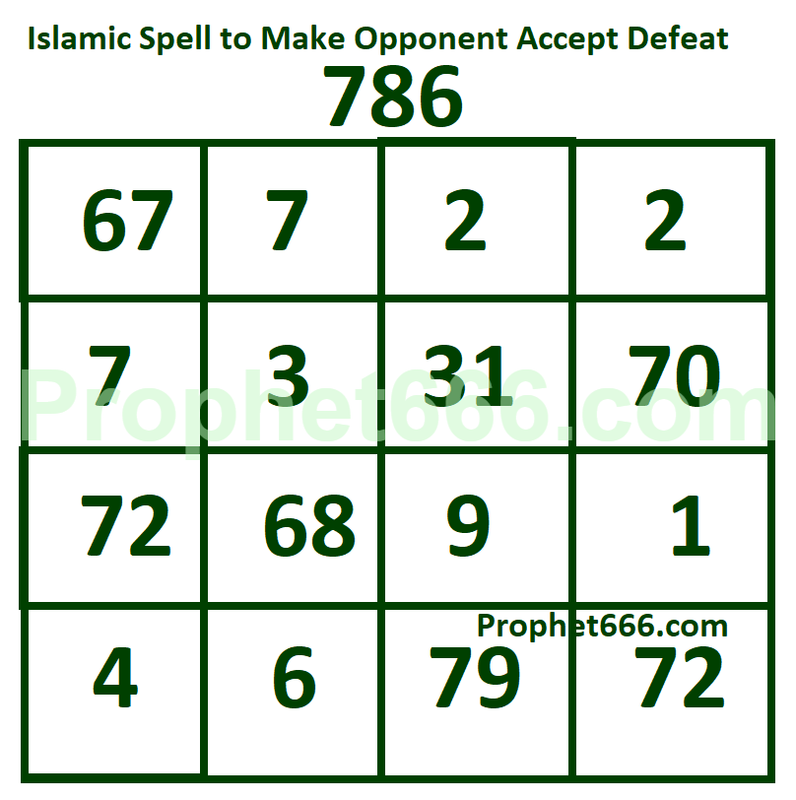 Since, this experiment is from a Muslim Tantra, the experiment to cast this spell for removing an enemy, has to be started on any Friday, which is an auspicious day for Muslims. The practitioner has to sit in a secluded and lonely place on the banks of a river and draw the Yantra shown in the image below, on a piece of paper using any kind of green colored ink. In all, 1100 separate Yantras have to be drawn. The experiment should be completed by drawing a fixed number of Yantras per day, in as short a period of time as possible. After, the completion of the Yantra making procedure, the practitioner has to collectively offer Loban Dhoop to all the 1100 Yantras and then taking the name of the enemy or enemies, immerse the Yantras in the flowing water of the river. This, Islamic Occult Experiment is said to cast a most powerful Voodoo Spell on the opponents or enemies and force them to accept defeat and leave the practitioner alone. from which line and number we start first left to right or right to left.